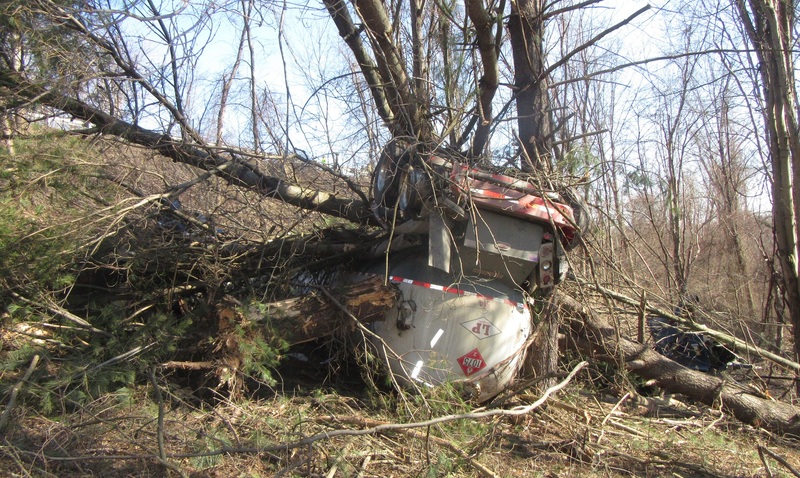 The mangled wreckage of a truck, tractor and tanker trailer that rolled over the south bank of Route 6 near the Wyoming County Fairgrounds on Wednesday morning is barely discernible among the trees, brush and debris it took with it. 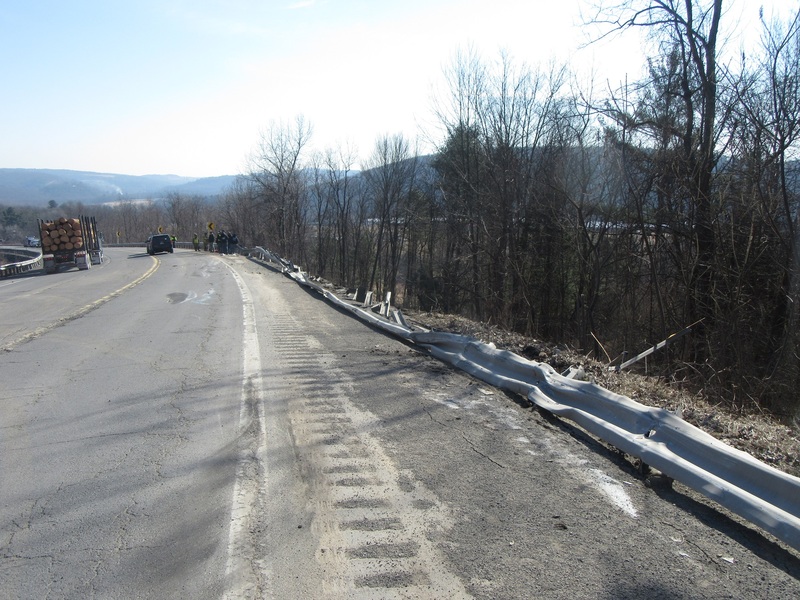 According to police, Billy Cagle of Beaver Dams, NY, was traveling too fast in the east-bound lane as he neared the top of the hill and was unable to maintain control through a slight left turn. 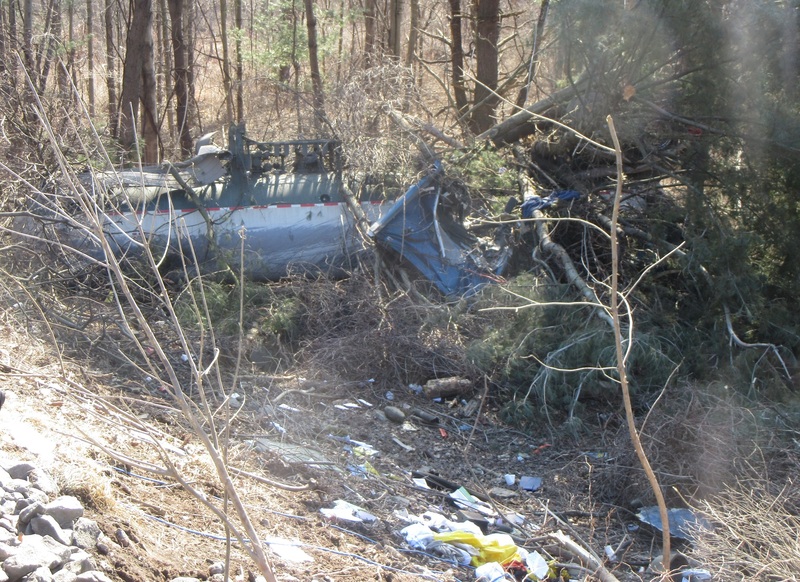 He was thrown from the cab of the truck and transported by Meshoppen Ambulance to a waiting helicopter that transported him to a Geisinger facility. 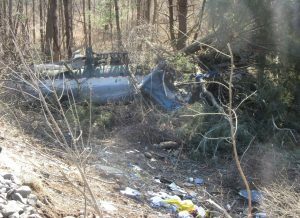 Cagle is reportedly in critical condition. 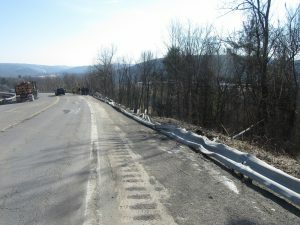 Route 6 was closed in both directions for at least 90 minutes Wednesday morning due largely to the sheer number of emergency vehicles needed to secure the scene, rescue the victim, and clear the highway of debris. It was closed again the afternoon as the remains of the rig, which took out a lengthy stretch of guide rails (below) before it began to roll to the right, were removed with heavy equipment.